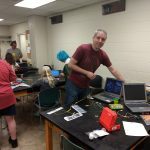 Athens Makers – Discover, Explore, Create! Learning by doing! Discover, Explore, Create! Learning by doing! Getting Ready for Summer 2019! Plans are shaping up for Summer 2019! We are excited to officially become Discovery Lab as we become a part of the programming for the Ohio Valley Museum of Discovery. We will continue to meet in the basement of Clippinger (Room 036) on Thursday evenings from 6-8PM with possible special events on Tuesdays and/or Saturdays. We will kick off on June 6 and go until August 8 (with plans to take Thursday, July 4th off). And save Saturday August 3 for the Second Annual Discovery Fair, a chance to show off things you’ve done during the summer. 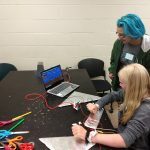 For those new to AthensMakers/Discovery Lab, we strive to create an environment where kids 6th grade through high school can gather to explore a wide range of STEAM-based (Science, Technology, Engineering, Arts and Mathematics) activities. You can wander the web site to see what kinds of things we have done in the past. 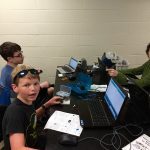 They include things like 3-D printing, Arduino Microcontrollers, construction projects with the Maker Cart, green-screen and stop motion videography, and more! This year we intend to run a combination of open exploration space in parallel with workshops where those who chose can learn new skills in a guided environment. 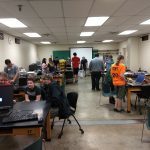 At this time the programming is free, though there may be some special workshops advertised that require a special fee to help pay for materials the students take with them. And as always we encourage parents to hang out and learn alongside their kids! The event is free and open to the public. Everyone is welcome, though the work will be most appropriate for ages 11 through adult. 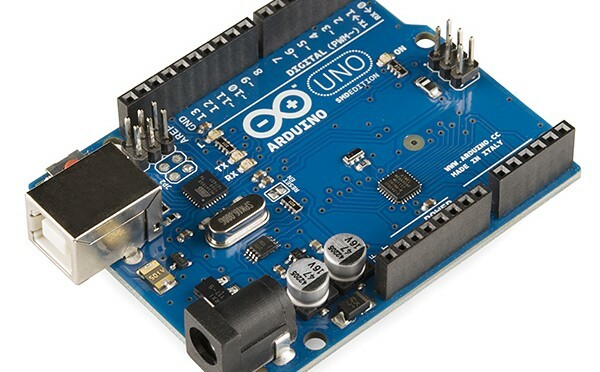 Laptops and Arduinos will be available for people to borrow for the workshop time. A variety of sample projects will be made available in the space. Beginner workshops will be available starting at 1, 2, and 3. 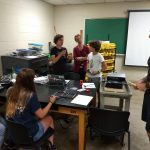 Space will also be provided for those who would like to bring projects, either completed or in progress, to share with others in the community. No registration is required, but if you have any questions or know in advance you intend to come, please feel free to contact Mark Lucas at lucasm@ohio.edu. If you are coming from out of town, the best route is to take US-50/33 to the 682 exit south of campus. At the roundabout head North over the Richland Avenue bridge towards the Stadium. At the first intersection turn right onto South Green Drive. Clippinger is on the left just past the pond. Parking is available around the area. Do NOT PAY for parking. If you go past Clippinger, the lot on the right should have free parking as long as you don’t park in a metered spot. The best entrance will be the Southwest corner of Clippinger right off of South Green Drive. Head downstairs and you will find the event rooms. 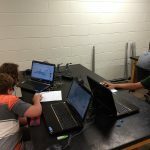 What does a summer of Discovery look like? 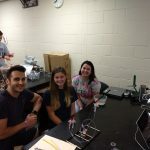 Come check out the Discovery Fair Saturday August 4 from 10AM to noon in the lobby of Clippinger Labs on the Athens Campus of Ohio University. 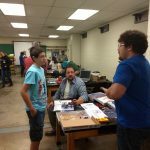 There will be a combination of hallway activities and projects spanning the range of 3D printers, Raspberry Pis and Artificial Intelligence, Arduinos, Cardboard construction and engineering and anything else we’re inspired to bring. There will be a special appearance of the WOUB Learning Lab and their robotic friends. 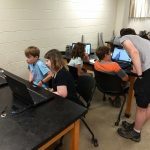 The event is supported by the Ohio Valley Museum of Discovery, the Discovery Lab/AthensMakers, State Farm (Discovery Lab materials) and the Department of Physics and Astronomy. If you are interested in showing off your latest or favorite project, contact Mark Lucas at lucasm@ohio.edu. We’d love to see what everyone is doing! Parking (https://www.ohio.edu/athens/parking): The large lots in front of Clippinger (83 and 84) will be closed by then for construction of the new Chemistry Labs. Parking is available in Lots 86 and 88 directly behind the Clipping and in the Lots 87 and 93 by Ping (meters are 24 hours-7days a week). Lot 134 by Walter Hall is also an option. We have been meeting weekly Thursdays at 6PM and doing lots of great things. Jeff has pulled out the Google Voice Kits and he and his team of kids have those running. Silas and Kyle are making great progress on their cardboard home with automation, and they’re looking for help with the interior decoration. 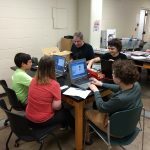 Each week people have been delving into 3D printing, Arduinos, construction and movie making, discovering new skills and stretching their creativity! Thursday sessions continue through Thursday August 9, and it’s never too late to stop by. With this open format you can wander in any week and try things out, even if it’s your first session of the summer. 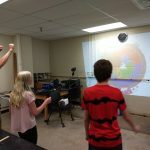 Last week we had the 360 degree camera and the Raspberry Pi added to the mix of activities. I got to check out the 360 degee camera, and it’s cool. Definitely something you want to check out Thursday during a break from your other projects! 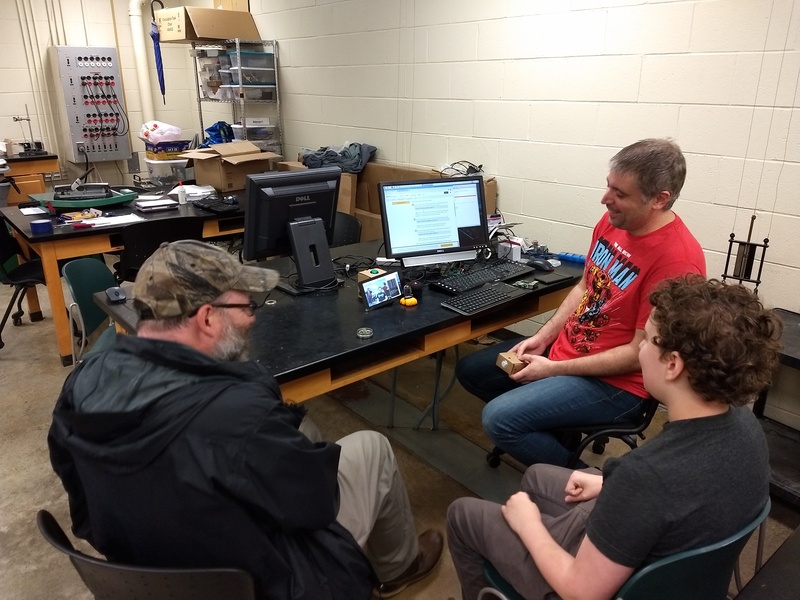 As for the Raspberry Pi, Jeff and some of the participants began exploring the world of machine learning. They trained an artificial intelligence software running on a Raspberry Pi microcomputer to detect a hands-in-the-air gesture in a live video feed. 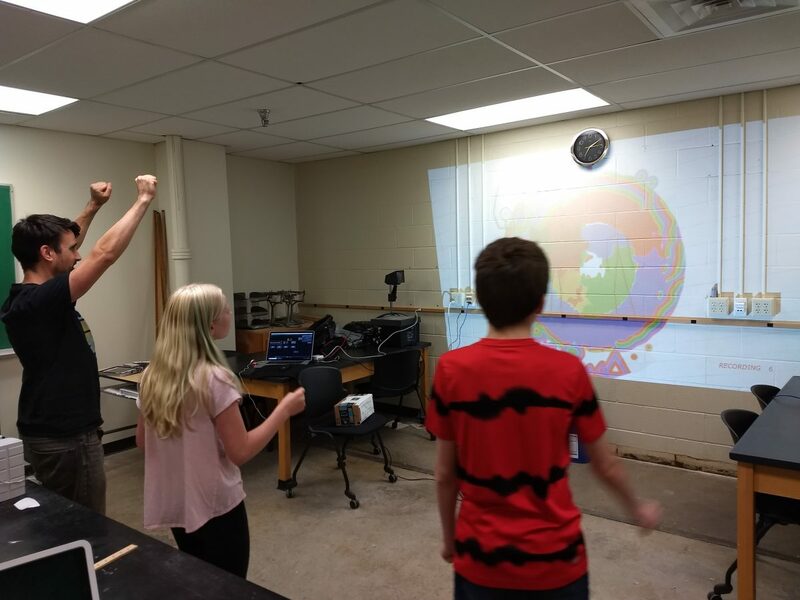 Once the software learned their input they used a simple python script to trigger a cheering sound each time their gesture was recognized in the video feed! We also need someone who wants to learn how to solder to help put together a couple of “persistence of vision” kits. If you have not made a notebook, consider bringing a notebook from home to keep track of your accomplishments and plans. Some pictures from the first couple weeks of Summer 2018! Ever wondered what it might be like to work on the bridge of space ship? Come join us for a special Saturday evening playing Artemis. 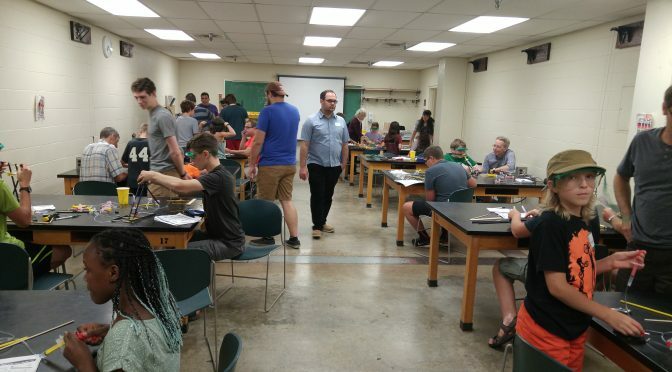 Summer 2018 Athens Makers is starting Thursday June 7 from 6-8PM, and we will again meet in the basement of Clippinger Labs (Room 036) on the campus of Ohio University. We currently plan to run every Thursday from 6-8PM with the possibility of a few other special events throughout the summer. As with other summers, there is no registration required and there is no fee. 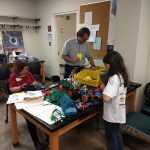 This is a completely volunteer operation, and we operate on a shoestring with some equipment support from the Department of Physics and Astronomy and the Ohio Valley Museum of Discovery. 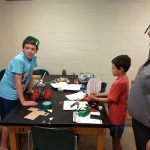 Contact Dr. Mark Lucas (lucasm at ohio.edu) to receive periodic mailings about AthensMakers activities as well as related activities that may be of interest. This summer we’re looking to try something a little different and more open-ended. Instead of a single topic each night, there will be a lot of different options are available each night. This allows the participants to follow their interests better and build up their skill base at their own pace. We are also tentatively looking at having a “Discovery Fair” Saturday August 4. This would be a chance for participants and other community member to bring out their projects and show them off! More details to come. 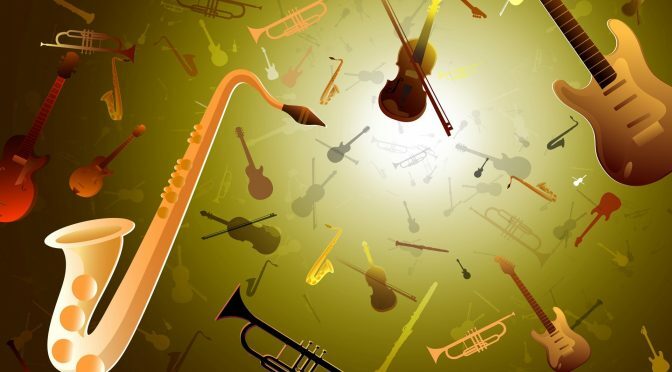 Come learn about musical instruments and the science of musical instruments. Dr. Kordesch, our local physics of musical instruments expert will be there. Try your hand at making instruments from a wide range of materials, including a PVC flute, recorder or clarinet as well as other options. We will have special guests this evening. Fulbright Scholars from around the world preparing to start their graduate studies in the United States will join us. In addition to making instruments, we hope to learn a little more about instruments from other countries.